Homeowners in Plantation know they can depend on Quality Air Conditioning Company for the best air conditioner repair, installation, and maintenance services. Your sunny Plantation home in Lauderdale West still looks fresh and new inside—but the original air conditioner, installed in 1974, has gone the way of shag carpeting and disco. Quality Air Conditioning Company will install a new, more efficient air conditioner, bringing your home’s HVAC system into the 21st century. Your home in Old Plantation Acres, built in 1948, came with all the modern conveniences of the time. Unfortunately, central air conditioning was not one of them. Quality Air Conditioning Company can rid you of the noisy, time-consuming annoyance of window shakers with a sleek, cutting-edge, central air conditioner system. Any air conditioner in South Florida gets quite a workout in the dog days of summer. If the air conditioner in your Plantation home suddenly stops working and you’re resorting to a dusty old floor fan that’s barely doing the job, it’s time to call Quality Air Conditioning Company. With our around-the-clock service, our well-trained technicians will be dispatched right away. Why spend a miserable, sleepless night sweltering in the heat of August when Quality Air Conditioning Company’s techs can be at your Plantation home in minutes to take care of your air conditioner repair? The City of Plantation sits on land that was originally a hunting and camping grounds for the Seminole people, and later the site of an unsuccessful rice plantation. In 1909, A. B. Sanders and A. A. Boggs came from Miami, founding the “Everglades Plantation Company.” The duo spent $25 to rent almost 10,000 acres for growing rice. Over the next few decades, canals and locks were built to help drain more Everglades land, and various legal battles over local land ownership ensued. About twenty years after the Everglades Plantation Company came along, Midwesterner Frederick Peters brought his family into the area. Peters established Plantation with a city master plan created by architect Russell Pancoast, who had designed the Miami Beach Library and championed the use of Art Deco architecture in South Florida. By the early 1970s, commercial and industrial interests like American Express, Cigna, Kemper, BellSouth, and Motorola were courted. These companies and others established their corporate presence in Plantation, bringing jobs and stimulating the local economy. Today, Plantation has grown from a rural suburb of Fort Lauderdale to a prosperous city in its own right. Plantation is home to the South Florida campus of the University of Phoenix, as well as the Express Head Office of international courier DHL and online securities brokerage TradeStation Group, Inc. Spatial computing company Magic Leap brings cutting-edge technology to Plantation, as does custom software developer Chetu. The America’s Promise Alliance, a youth advocacy group, has named Plantation to its list of “100 Best Communities for Young People” multiple times in recent years. 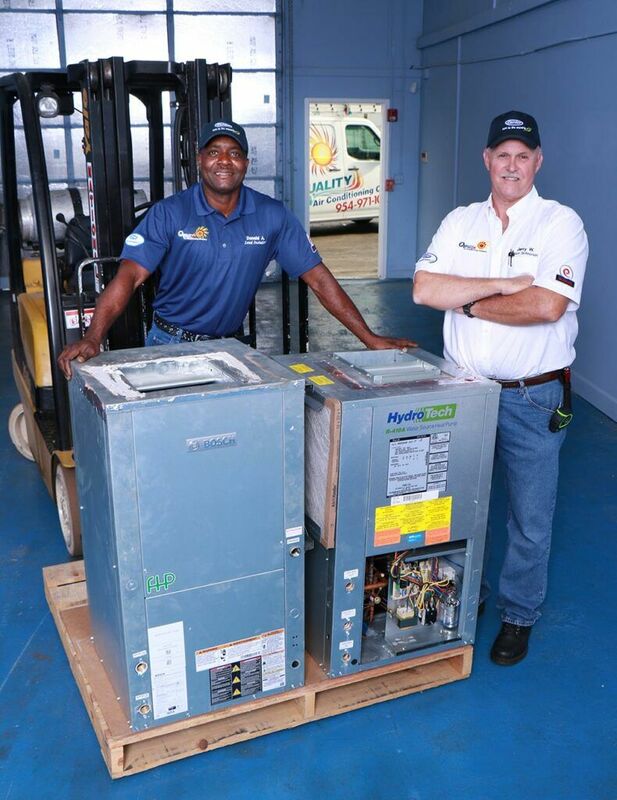 With its prompt and reliable air conditioner repair and maintenance services, Quality Air Conditioning Company helps keep Plantation one of South Florida’s most comfortable communities, for people of all ages. To experience the Quality Air Conditioning difference in your Plantation home, call us at 954-971-1000 or 800-649-5415 today.